Nothing looks quite as cheerful as a whole bunch of rainbow ordered butterflies all in one place! 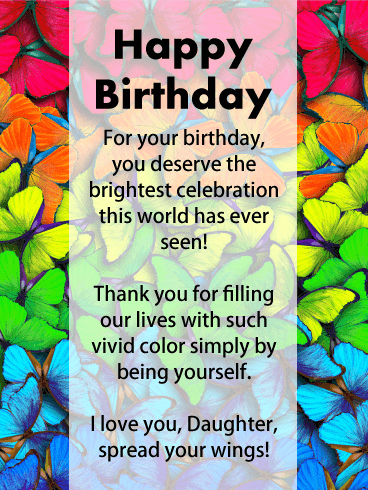 Make your colorful daughter's special day one to remember by sending her this breathtaking happy birthday card! 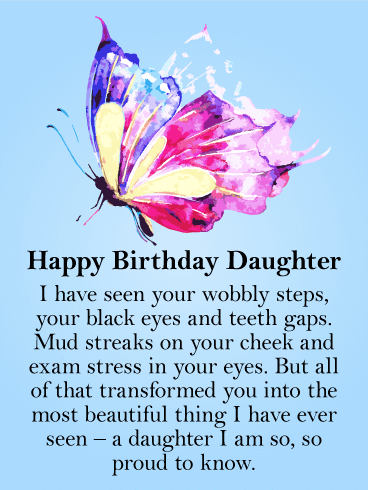 The message thanks her for being herself, tells her you think she deserves the best, AND encourages her to spread her wings! 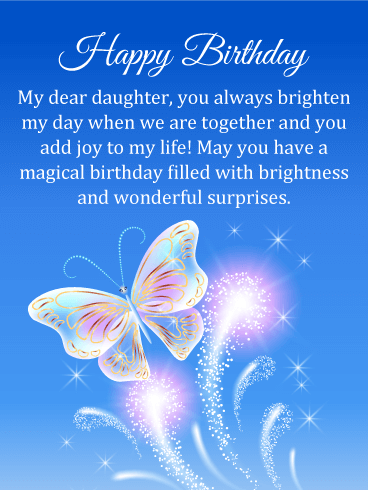 It's got it all! 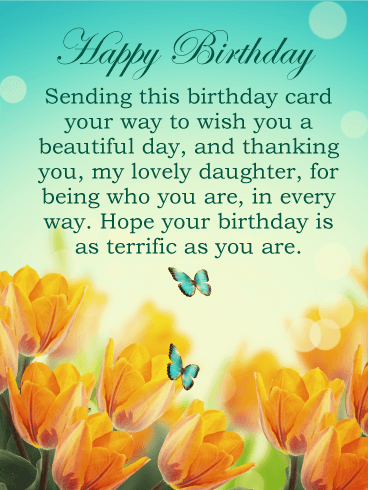 Beautiful blue butterflies in a field of yellow tulips make a wonderful setting for this well-designed birthday card. 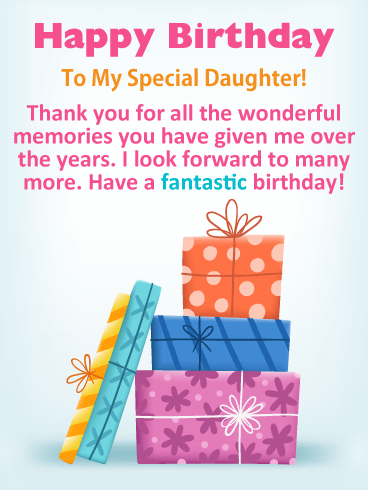 Your daughter will enjoy receiving it for her birthday, especially since it is from her loving mother or father. 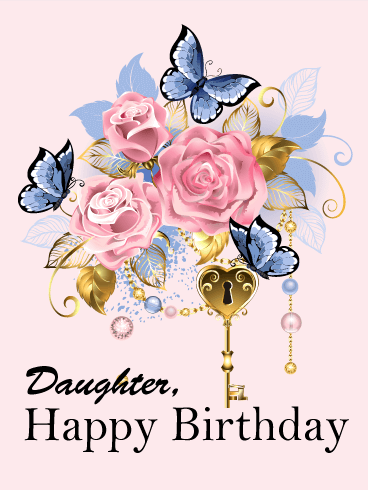 It will thank your daughter for being who she is and wish her a terrific birthday. 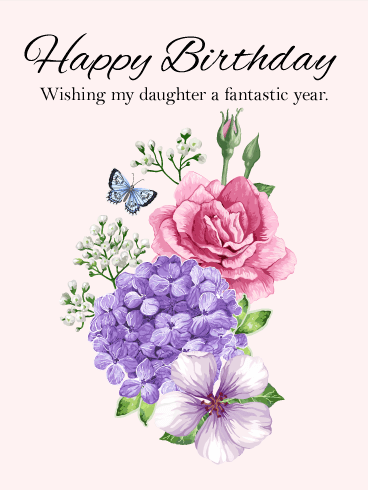 So send these lovely butterflies on their way to brighten your daughter's day, she will surely thank you for it! 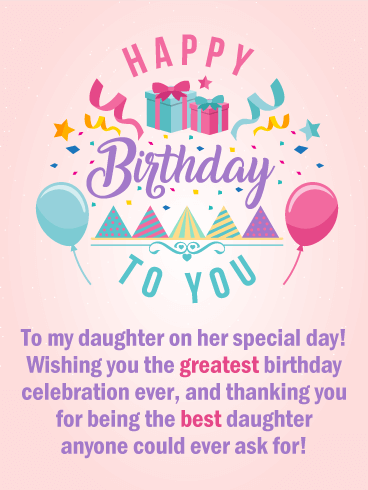 Birthday hats, balloons, presents, and celebration streamers can only mean one thing, a birthday is among us, and it's your daughters! 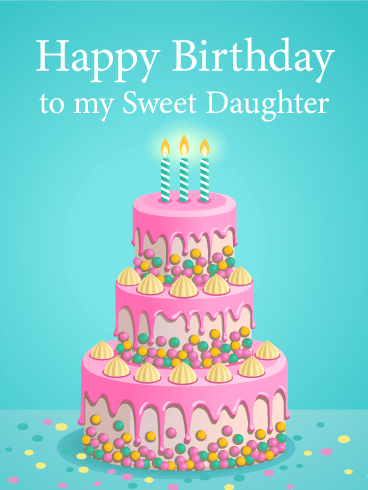 This terrific birthday card has it all and would be perfect for wishing your daughter a happy birthday! 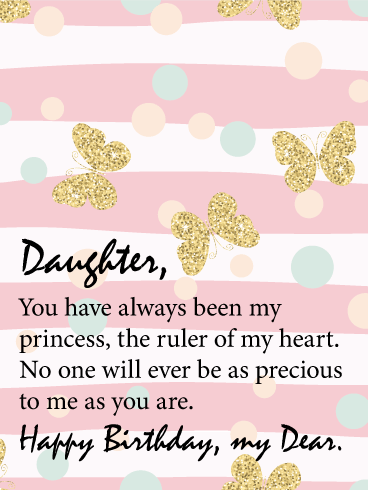 The message will let your daughter know that you feel she is the best daughter anyone could ask for, something every daughter would love to know! 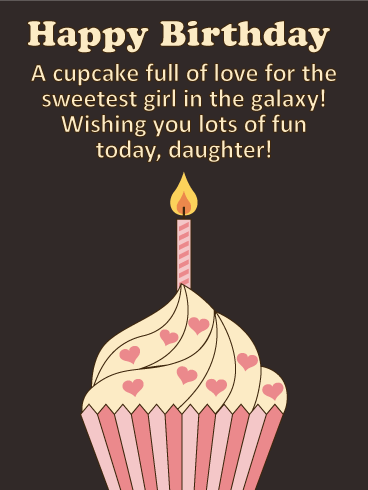 So wish your daughter the greatest birthday with this awesome birthday card!